Microwave microwave sterilization machinery is electromagnetic waves with frequencies between 300 MHz and 300 thousand MHz. Water molecule in heated medium is a polar molecule. Under the action of fast changing high frequency electromagnetic field, its polar orientation will change with the change of external electric field, resulting in the movement of molecules and mutual friction effect. At this time, the microwave field energy can be transformed into the heat energy in the medium, so that the material temperature rises, resulting in a series of physical and chemical processes of heating and expansion to achieve the purpose of microwave heating and drying. 1, heating speed is fast. Microwave heating is completely different from traditional heating. It is a process that makes the heated material itself become a heating body without heat conduction. Therefore, even though the material with poor thermal conductivity can achieve heating temperature in a very short time. 2, energy saving and high efficiency. Because the material containing water is easy to absorb microwave and heat up, there is almost no other loss except a small amount of transmission loss, so the heat efficiency is high and energy saving. 3. Uniform heating. Regardless of the shape of each part of the object, microwave heating can make the surface of the object at the same time uniform penetration of electromagnetic waves to generate heat. Therefore, the heating uniformity is good, and there will be no endogenous phenomenon. 4, mildew, sterilization, preservation. Microwave heating has thermal and biological effects, and can be sterilized and mildew resistant at lower temperatures. Because of its fast heating speed and short time, it can preserve the activity of materials and vitamins, original colors and nutrients in food to the maximum extent. 5, advanced technology, easy to control. Microwave heating only needs the basic conditions of water and electricity. It can be heated or terminated immediately by controlling the microwave power. The microwave machine can be used for automatic control of heating process and heating process specification. 6, less occupied area, safe and harmless. 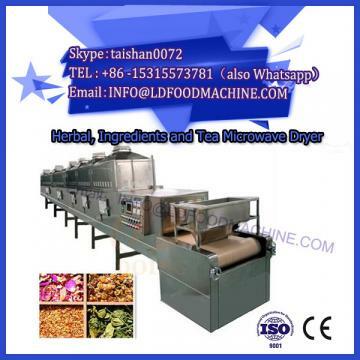 Because microwave energy is controlled in heating chambers and waveguides made of metal, microwave leakage is minimal, no radiation hazards and harmful gas emissions, no waste heat and dust pollution; neither food pollution nor environmental pollution. From the economic benefit analysis, microwave drying is often better than traditional methods, such as compared with far-infrared drying, usually more than 1/3 energy saving. 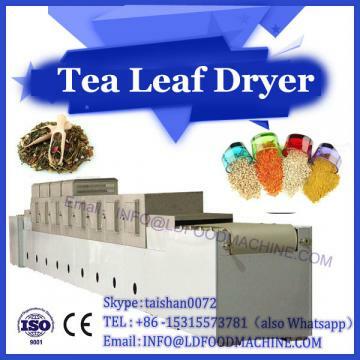 In practical work, microwave drying sterilizer is mainly used in the drying of low moisture materials (moisture content below 30). 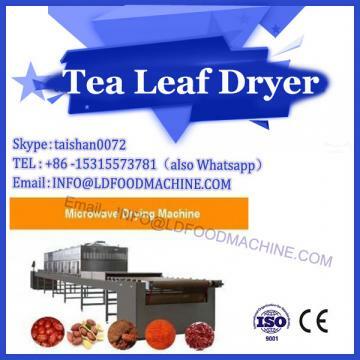 At this time, the traditional drying method (hot air, electric oven) has low drying rate and high energy consumption, and the tunnel microwave drying equipment from the feed to the discharge in 3 to 5 minutes to complete the drying.